Some of the nicest scenery is viewed from a canoe but I’ve always been leery of taking my best cameras along in case they get wet or damaged. 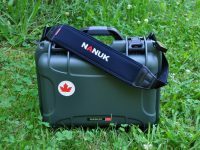 My worries in this regard have been largely overcome thanks to the Nanuk 915 case. This made-in-Canada case is made of lightweight resin and is waterproof (IP67 rated). 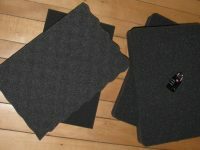 It is also impact resistant and comes with a conditional lifetime guarantee. 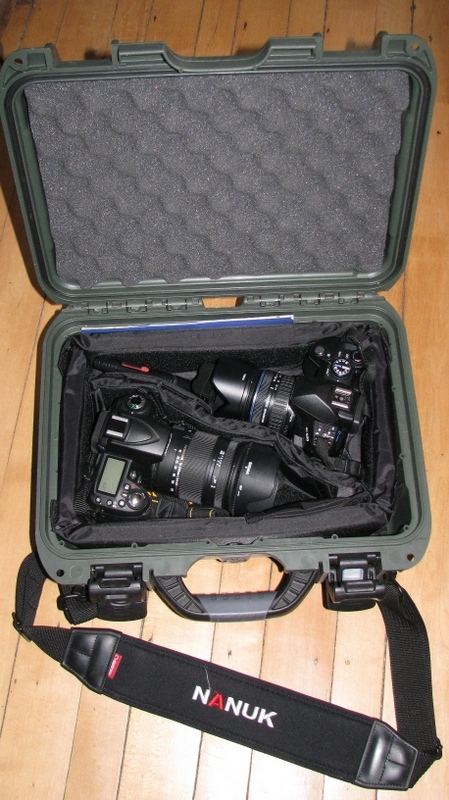 The “medium series” case is ideal for our two DSLR cameras, along with a couple of small items, such as an extra battery. 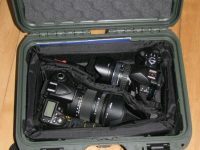 If we take only one of our cameras there is lots of room for extra lenses, other camera-related items and a cell phone. The durable case weighs two kilograms (when empty) and features a powerclaw latching system. 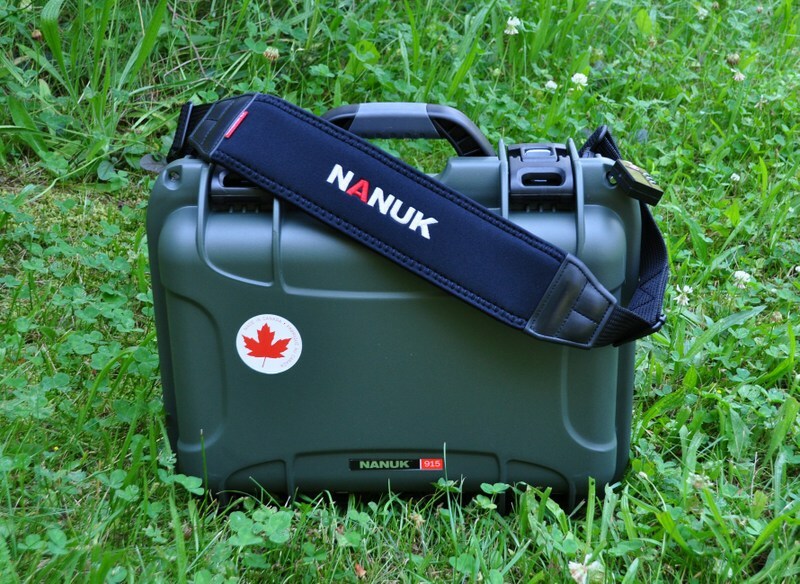 The Nanuk 915 is available in six colours. 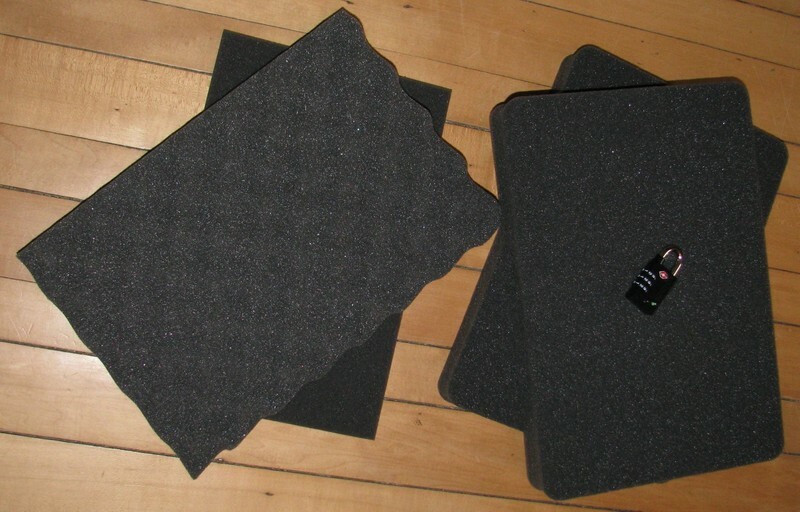 Interior case dimensions are: 13.8” L x 9.3” W x 6.2” H.
While the Nanuk 915 case itself is very good, so are the accessories that can be purchased with it that include padded dividers, a shoulder strap, a padlock, a waterproof panel kit and cubed foam inserts that includes foam squares that can be removed to accommodate the contents in the case. When I first got my Nanuk 915 case one of the first things that I did with it was to submerge the closed case in a bathtub full of water for 30 seconds. I learned that the case floats well as it required significant effort to keep it submerged for the 30 seconds. And when it was opened the insides were completely dry. The first big test for our camera case was when my wife Lynn and I toured Georgian Bay and Lake Huron off the Bruce Peninsula. The close to 4-hour trip was made in a zodiac inflatable boat that bounced well over the large waves, but which resulted in significant spray entering the boat. While I was fairly wet at the end of the journey our cameras, which were kept in the case when not in use, were completely dry. Now when I venture out on the water in our canoe I am comfortable knowing that my camera is safe – at least when it is tucked away inside the Nanuk 915 case! Great info for canoeing. Do you have any tips for kayak photography bags or storage options?